Courtesy of Keller Williams Platinum. Welcome home to 123 Hidden Lake Dr. in the wonderful Harbour Park subdivision! 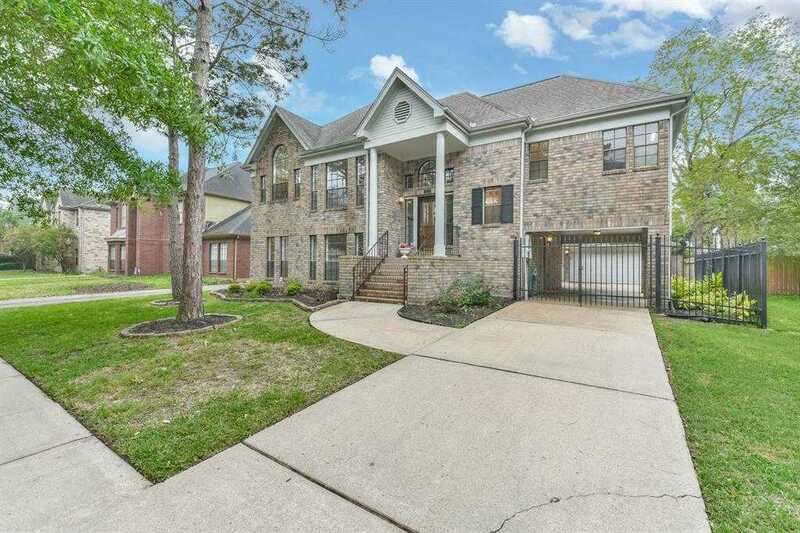 This 5 Bedroom 3.5 bathroom 2,930 sqft home features a living room with gas fireplace, formal dining room just off the kitchen. Kitchen features lots of countertop and cabinet space, new stainless steel appliances, high ceilings and lots of natural light! Grand Master suite with access to balcony and high ceiling. Master bath features dual vanities, whirlpool tub and separate shower! Master bath features a large walk-in closet with plenty of storage! Large gameroom on first floor perfect for all your entertainment needs! Spacious secondary bedrooms located on first floor. Large guest suite perfect for your visiting family or could be used as a secondary gameroom/man cave with full bathroom! Backyard features balcony with access to the master suite and family room and patio! Make your appointment today, this one will not last long! Address: 920 South Fry Rd. © 2019 CG Realtors — Keller Williams Platinum. TX DRE #Kristie F All Rights Reserved. Texas Real Estate Commission Consumer Protection Notice. Texas Real Estate Commission Information About Brokerage Services. Real Estate Website Design powered by Home Junction.